A superb fighter, the Fw 190 totally outclassed the Spitfire Mk V when it made its combat début during the summer of 1941. 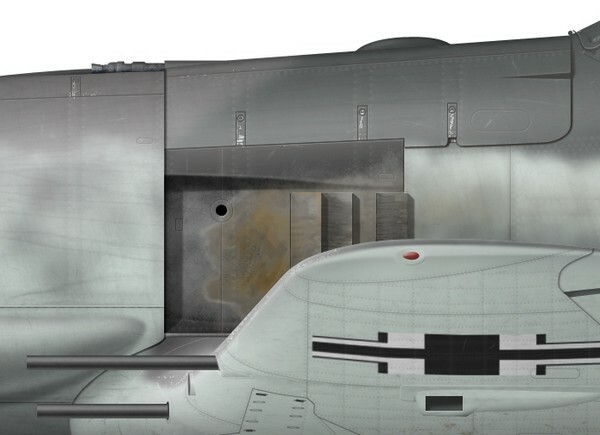 On the Eastern front, the Fw 190 was less successful, mostly because air combat took place at lower altitudes where the Fw 190 did not perform as well. 1. Fw 190A-6 flown by Hauptmann Johannes Naumann of 6./JG 26, based at Lille-Vendeville in Northern France in July 1943. 2. Fw 190A-6 (WNr 470004) flown by German ace Hpt Walter Nowotny of I/JG 54 on the Eastern front in September 1943. At the time of his death in aerial combat in November 1944, Nowotny was credited with 258 aerial victories, most of which were achieved while flying the Fw 190. 3. 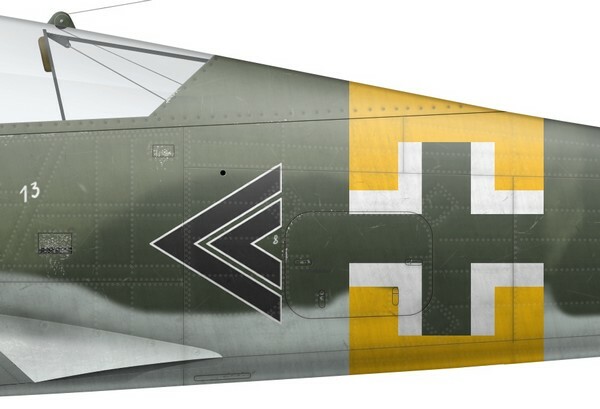 Fw 190A-6 (WNr 550453) flown by Hpt Friedrich-Karl “Tutti” Müller of JG 300, based in Bonn-Hangelar in November 1943. Müller was credited with 140 aerial victories cy the time he was killed in a landing accident on 29 May 1944.